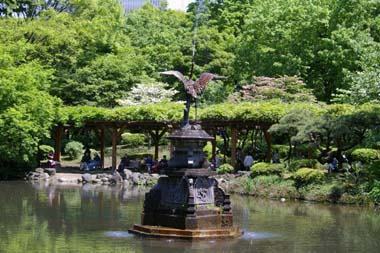 Hibiya park was laid out in 1903 as the first western-style park in Tokyo. 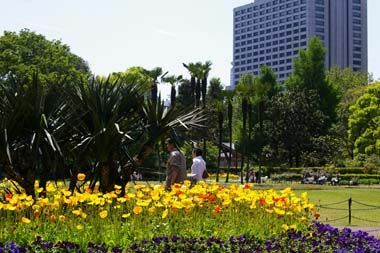 The park is located in the heart of the city surrounded by business and government buildings. 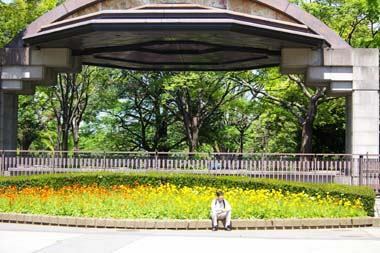 But it is so relaxing in the park that you will forget you are in the middle of the big city. 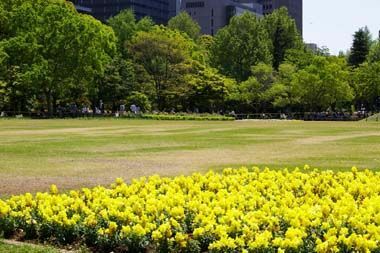 The area of 16ha consists of two western-style gardens always full of flowers and two Japanese-style gardens with little ponds. 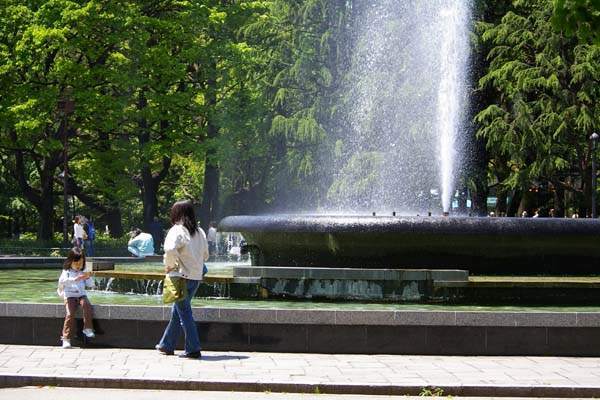 Hibiya public hall, one of the oldest concert hall in Japan, is standing in the south of the park. 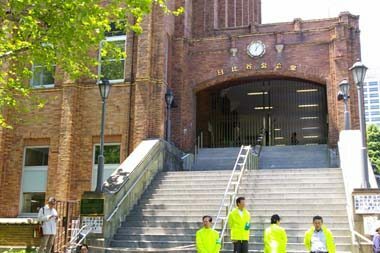 There is a library building next to the hall. refreshing you with a fine spray. 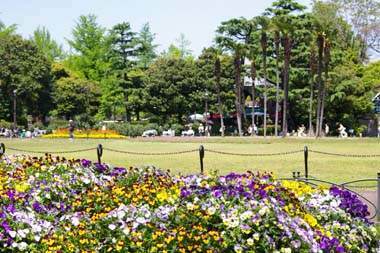 Western garden next to the fountain is full of flowers all year round. There is an open air concert facility next to the big fountain. or in the summer evening. 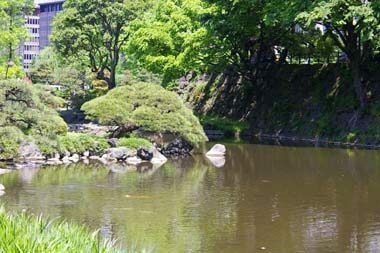 There is a Japanese-style garden with a pond near the main entrance. 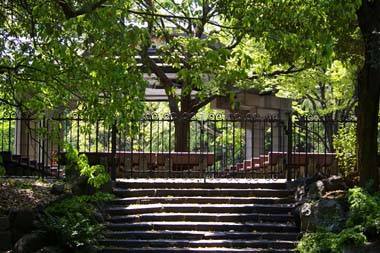 It was made using the old moat and stone wall of Edo castle. 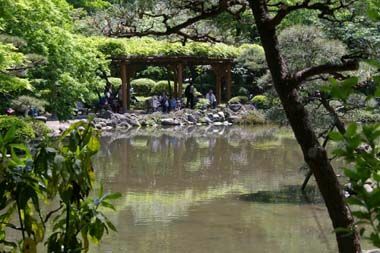 A flower garden next to the Japanese garden. 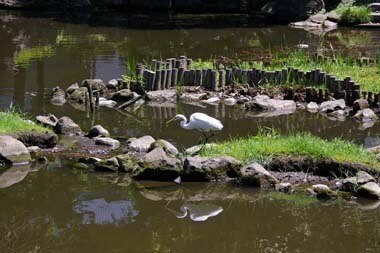 There is another Japanese garden in the south-west of the park. 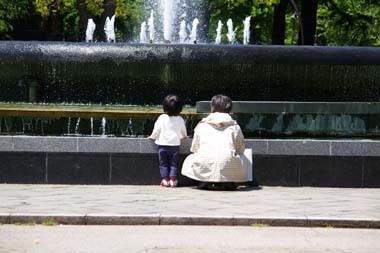 Hibiya public hall (left) was built in 1929. 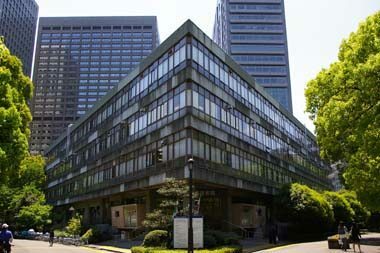 The right is Hibiya library.